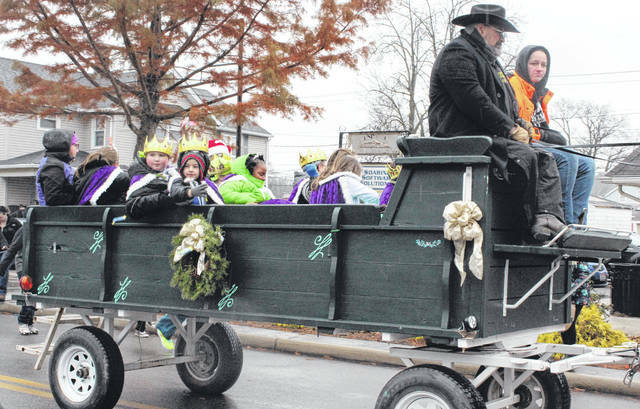 The Christmas in Swanton princes and princesses ride in the parade Saturday morning. 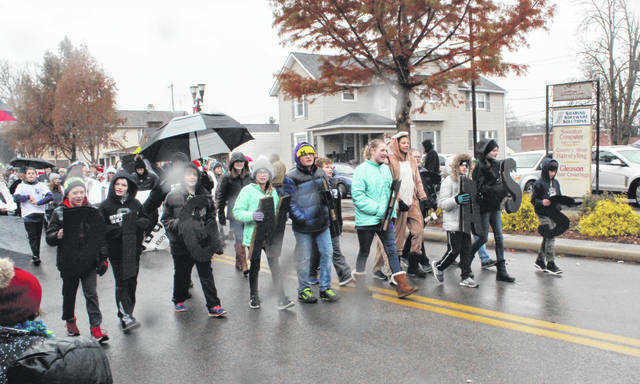 This group of students leads a large contingent of Swanton Middle School students in the parade. 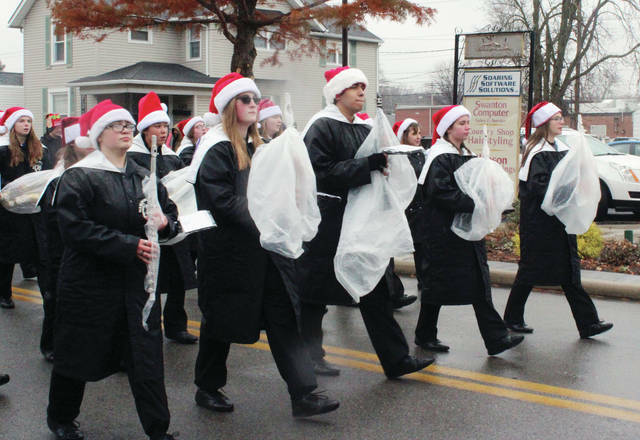 Members of the Swanton Marching Band head down Main Street during the Christmas in Swanton parade. 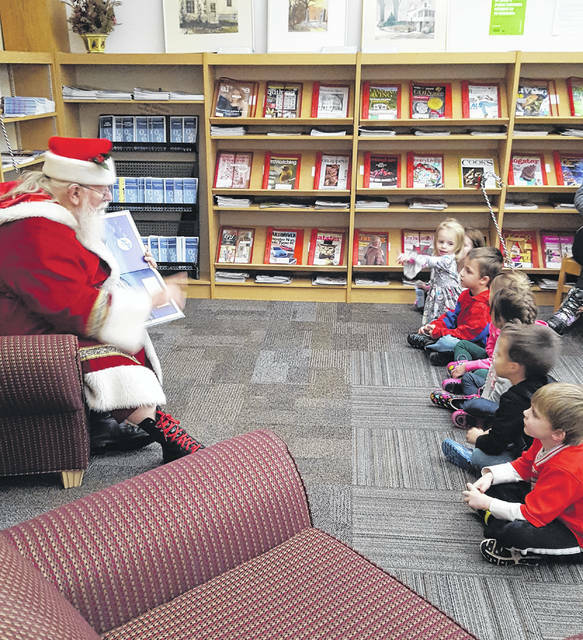 Santa Claus reads to children at the Swanton Public Library on Saturday. 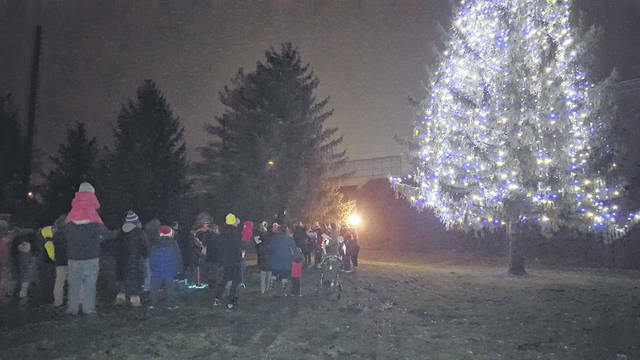 A tree lighting was held Saturday evening at Pilliod Park as part of the Swanton Shines event. Money raised from the event, which also included a 5K, kids fun run, Santa, and caroling, raised money for Christmas decorations in the village. https://www.swantonenterprise.com/wp-content/uploads/sites/23/2018/12/web1_Princes-and-Princesses-Xmas.jpgThe Christmas in Swanton princes and princesses ride in the parade Saturday morning.